Posted April 12, 2017 | Category: Cool Products, Miscellaneous. Not everyone is a professional designer or photography expert, but with expert-level tools, anyone can produce amazing photos to enjoy. Whether you’ve recently gone on an amazing vacation, visited friends and family, or went on a good long hike, chances are you’ve got a camera roll full of future awesome photos that are in need of some sprucing up. For just a few extra bucks, you can also upgrade to the Pro version of the software that boasts some incredible textures, formats, frames, filters and other cool effects to make your photo project pop; a great deal for unlimited editing access. Ready to get started? 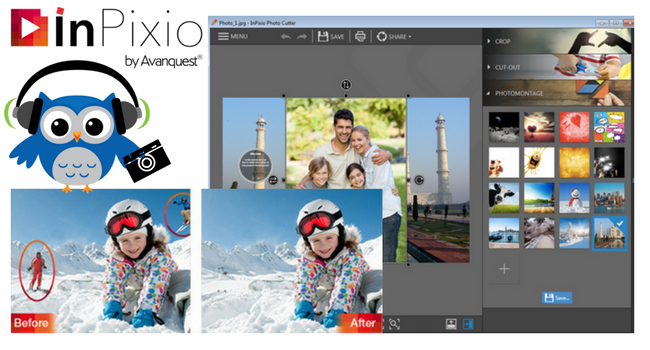 Click below for the most comprehensive, easy-to-use photo editing software out there! Get InPixio & Start Editing!